The first two years of our lives are when the brain is at its most plastic. It is when the neural pathways are strengthening with use, and being “pruned” if not used. But for an infant who may have cerebral palsy, it is a time of high stakes. 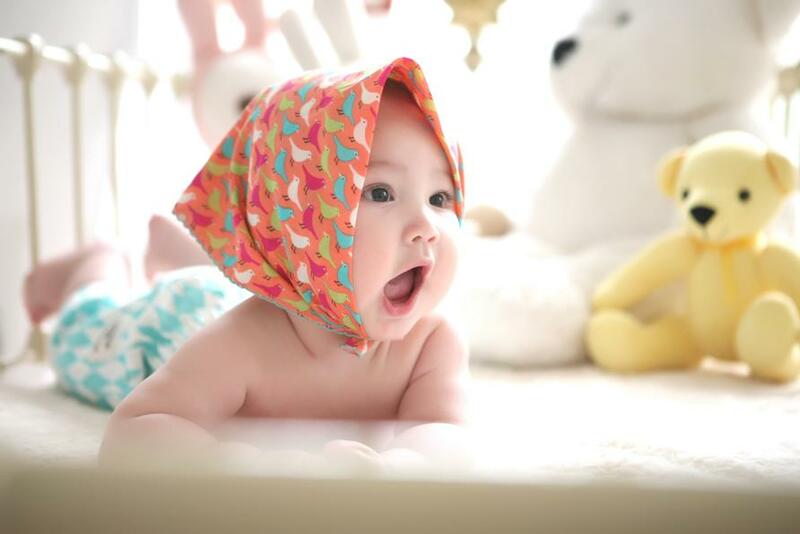 There is strong evidence that early physiotherapy intervention when an infant’s brain is at its most plastic can improve motor skills later in life, but the average age at which an infant is diagnosed as a result of observation is 19 months. It leaves only a narrow window for physiotherapy to have its biggest impact. Now, in a move that has the potential to increase the speed of diagnosis, a team of researchers have developed a simple smart phone app, Baby Moves, that parents themselves can use to video their babies and allow clinicians to identify potential symptoms remotely. 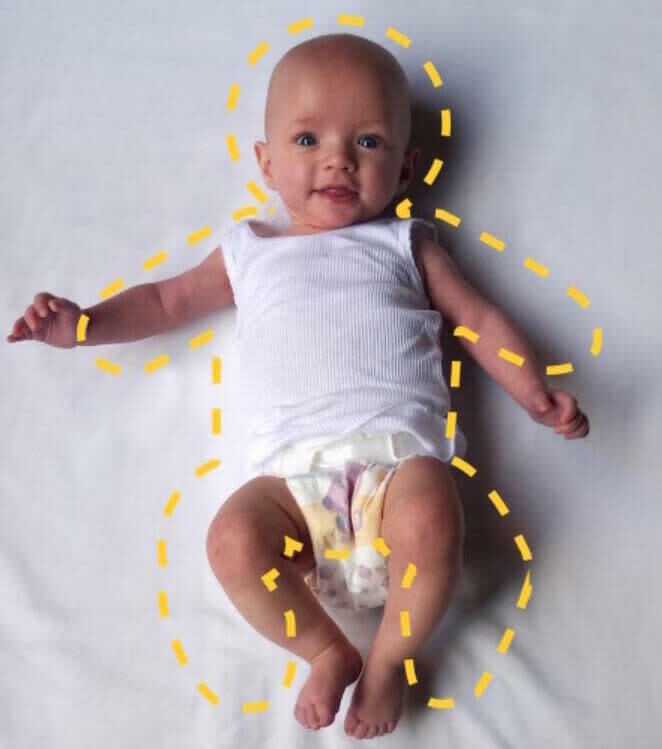 The Baby Moves smart phone app comes with instruction on how to video a baby to all preliminary assessment of whether the infant displays any signs of cerebral palsy. Picture: Supplied. “There is strong emerging evidence that early intervention, including physiotherapy and occupational therapy, can improve the trajectory for children with cerebral palsy by helping them to wire their brains to better move their bodies and perform activities,” says Associate Professor Alicia Spittle who has led the development of the app. 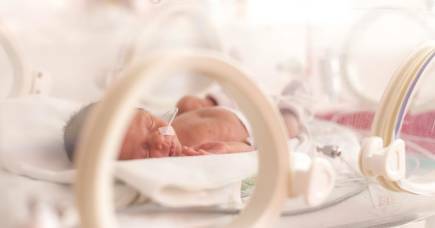 A collaboration of the Murdoch Children’s Research Institute, the Royal Women’s Hospital and the University of Melbourne that has been funded by The Cerebral Palsy Alliance, Baby Moves is being trialled across 250 premature babies, which is a particular high-risk group for cerebral palsy. Some 40 per cent of babies diagnosed with cerebral palsy are premature. The app works by providing guidelines for how parents can video their baby, including an onscreen outline that they must try to keep within for about 3 minutes while their baby is on its back. The app sends a reminder for parents to send in their video when the baby is three months. About 1 in 500 Australian babies are diagnosed with cerebral palsy, which is an umbrella term for a range of disorders that restricts movement and motor skills and is linked to damage to a developing brain. It isn’t a degenerative condition, but there is no cure. Symptoms can range from mild, such as a weakness on one hand, to severe, leaving people with significant physical disabilities and requiring 24-hour care. Of the 34,000 people with cerebral palsy in Australia, a third can’t walk and a quarter can’t talk. Cerebral palsy is generally diagnosed through observing abnormal or absent spontaneous movement in babies aged up to 20 weeks. But this is usually only carried out in hospital. The idea of the app is to make it easier for parents to screen their own child for cerebral palsy by taking a video to be assessed by a trained clinician. If a clinician detects any suspicion of the disorder the parents are then asked to bring in their child for a formal assessment. “Our goal is that if we can show that it is effective in lowering the average age of diagnosis it can then attract funding for a public roll out,” Dr Spittle says. But even before the results of the trial are known, Baby Moves is attracting widespread interest and support. The Queensland government has funded a project to roll-out the app, and the app could go international through a collaboration with Medical University in Graz, Austria. “We are working on another version of Baby Moves which we could roll out to the public in Victoria and elsewhere in Australian within months, but it needs government funding to finance the clinician assessment,” says Dr Spittle. The cause of cerebral palsy for most infants is unknown, but the damage to the brain that results in the disorder can occur before and after birth. The trial was available to every Victorian baby born between April 2016 and April 2017 who was less than 28 weeks at birth and/or weighed less than 1000 grams. Physiotherapy interventions are based around play and use toys and interactions with family members and other children to encourage infants to practice using their hands and legs to achieve everyday activities we take for granted such as reaching, rolling over and sitting. “The aim is to make sure that over those first two years the infant’s neurons are firing together so we can create strong neural pathways for using their bodies,” says Dr Spittle, who sees appointments at the MCRI and Royal Women’s Hospital, as well as teaching and researching at the University of Melbourne’s Department of Physiotherapy, School of Health Sciences. A study published last year reviewing the emerging evidence for physiotherapy or motor interventions for cerebral palsy found that child-initiated movement, task specific training and stimulating environments were all linked to interventions that showed moderate-to-large improvements in motor outcomes. Dr Spittle is now part of a team leading the world’s largest trial to investigate the effectiveness of early physiotherapy and occupational therapy interventions for cerebral palsy as part of a National Health and Medical Research Council grant. The team are in the process of recruiting some 200 infants across NSW, Queensland and Victoria. September 8th is World Physiotherapy Day. How did films in this decade rework, reject, radicalise or reinforce feminism and portrayals of women on screen? From Pokémon Go to the classroom – how a collaboration between the University of Melbourne and Microsoft in AR is taking students under the skin of their patients.